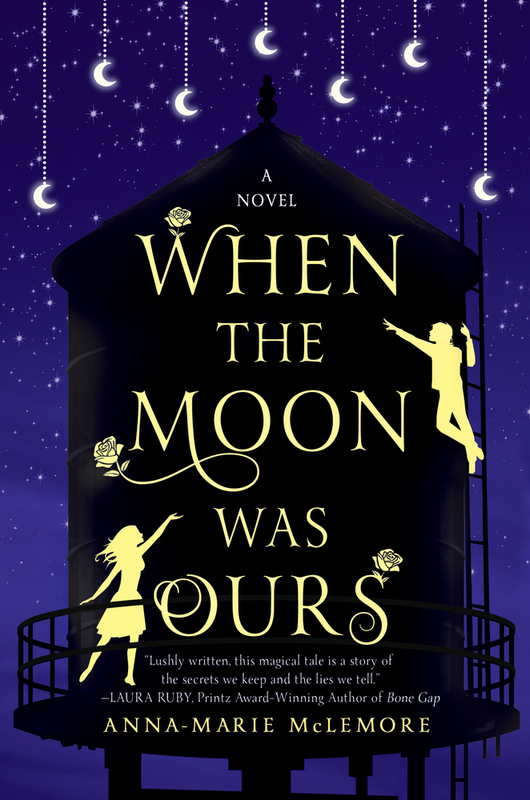 Within the first few pages of When The Moon Was Ours by Anna-Marie McLemore, I felt the dusty corners of my teenage heart start to sing. It was exactly the type of novel that I would have loved as a young reader–full of fairy tale elements, like witches, curanderas, and glass pumpkins, and characters with mystical, mysterious beginnings. Miel, whose name means ‘honey’ in Spanish, is a girl who emerges from a rusted water tower with roses growing from her wrists, shivering with the repressed memories of her past. Sam, the boy who befriends her in front of the whole mystified town, spends his life caring for her and painting paper moons that he strings up in the trees for her whenever she is upset. They understand each other immediately, and without words. 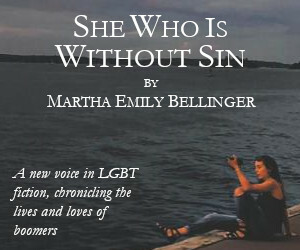 It’s a beautiful love story between two characters who are ineffably lonely, but who shimmer unceasingly with love for each other.There are secrets throughout the book that are slowly and skillfully revealed: the details of Miel’s past are left until nearly the end of the novel, but the reveal that Sam is trans is handled deftly and early on. It is also understated; Sam’s coming out is not fraught for the reader – it is just who he is. His identity as a trans boy, however, is culturally unique: he is raised as one of the bacha posh, a Pakistani tradition in which the youngest daughter in a family with no sons is raised as a boy until she is of marrying age. While Sam does not have to come out to his community at large, he does have to contend with his own conception of his gender and its fluidity – what would it mean to live life as a boy only until he is grown? And what if – as he suspects – the gender of “woman” never feels right to him, even when he is older? McLemore handles this conflict with a light and reverent touch; Sam’s narrative never feels contrived or inauthentic. The world is not an un-dangerous place for Sam – nor for Miel. Enter the Bonner sisters, the town’s four beautiful white witches – las gringas bonitas – and Miel’s conflicted adversaries throughout the novel. Until recently, the Bonner sisters had been the most beautiful and powerful girls in Miel’s unnamed town, powerful because of their beauty — their pale skin, their thin frames, their red hair – and its ability to make any boy fall in love with them. They maintain their power because physically they fit into white standards of beauty, but when Chloe, the eldest sister, gets pregnant and leaves town for the duration of her pregnancy, their power starts to crack. Not even las gringas bonitas are immune to the strict rules of behavior a misogynistic society imposes on them, but instead of recognizing this, they instead turn on Miel. The Bonner sisters think the roses Miel grows will restore them to power, and they think nothing of taking from Miel what doesn’t – and would never – belong to them. It’s a powerful metaphor for cultural appropriation, particularly within the fashion and beauty industry; how white culture will steal, doggedly and unapologetically, from people of color in order to enhance its own “beauty” and reinforce its own power, with no regard for the pain and injury this causes marginalized folks. It’s a metaphor that I wish McLemore would have pursued a bit more thoroughly throughout the course of the novel, in fact. While McLemore’s language and style is languid and strikingly poetic, the novel perhaps would have benefited somewhat from a more concrete setting to ground it. The details of Miel’s town remain vague–there is a school, a water tower, a farm, a strange casket in the woods that belongs to the Bonner family, and the field of glass pumpkins, and it is suggested that Sam and Miel are strange (Othered) because of their brownness. But we never quite get a full sense of what the town is like overall. Aside from this core cast of characters, what does the demographic look like? How does it affect Sam in Miel more specifically, rather than this general sense of being strange, of not fitting in? 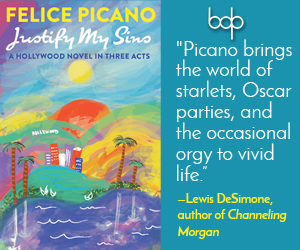 Still, the novel is gorgeously rendered, with a delicate, slow-moving sense of tension that drips steadily–like honey–throughout. Like all good fairy-tales, When The Moon Was Ours imparts to the reader a valuable, hard won lesson. It is a story of secrets, and of speaking them, and the power of saying–and living–your truth, without fear.